As part of the Peterborough Site Allocations Development Plan, a number areas across the city were designated ‘Green Wedges’ where planning permission will not be granted for any development that would reduce the degree of physical separation between settlements. One of these is to the south of Eye. Excluding Star Pit Nature Reserve which is already protected and the refuse tip which is unlikely to be built on in the near future, the area of land to the south of the A1139 is pretty small at 0.5 square miles but vitally important. With the Norwood development to the north-west of Eye, it will become even more important to protect Eye from becoming another ‘Township’. 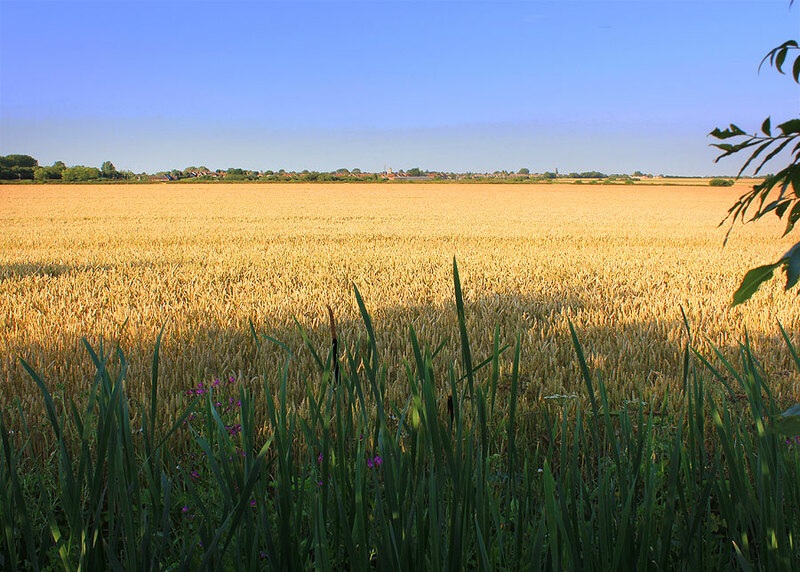 It does show foresight by Peterborough City Council in preventing further development to the south of the village which would further harm the character of the village. To the north of the wedge is Star Pit. Originally a clay pit for the Dogsthorpe Brick Yards the site is now a site Specific Scientific Interest due to the 63 species of water beetle found in the shallow pools. To the south of this is the refuse tip which is due to be filled within the next few years and to the south and east of this is Car Dyke built by the Romans in the 2nd century. To the east is Eyebury, in the 14th century it was a busy monastic moated grange & park with deer and cattle roaming the fields under the ownership of Peterborough Abbey. The present house at Eyebury was built in the late 17th century and was home to the Alfred Nicholson Leeds who was famous for his work in palaeontology. One of the largest fish Jurassic fish, called Leedsichthys is named after him after he found the first fossils. You can read more about Eyebury here. In addition to the Green Wedge, to the east of Eye, the former railway track has been safeguarded for future key infrastructure so at some future point it can be converted to a footpath/cycleway which at one point may allow easy and safe cycle access to nearby Thorney.